Cool project KC! Keep the pics coming! Got my collector made from a 1" thick piece of allum. I drilled the bolt pattern and a 2" center hole. Then with a die grinder I open the header side for each of the 3 tubes. Got a 2" exhaust with a allum welded turbo type muffler. Sounds great, now to see if it helped? 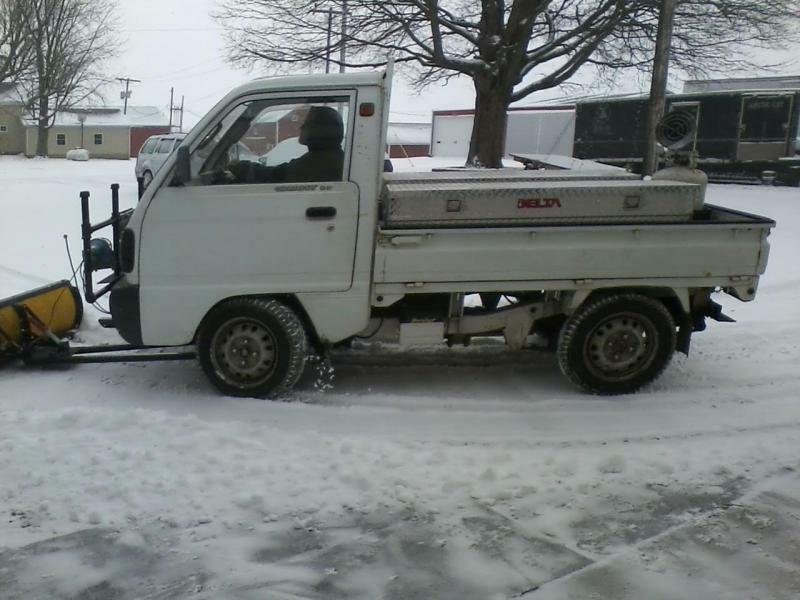 Been plowing with the little truck and wow does it really work! I am working on making a back blade set up next! That's awesome KC! How does it do plowing? I really did NOT build the Brush Guard / Dear Catcher nearly heavy enough! This thing is a real Beast! It came with 21"? tall 12" tires. I have 175/70-R14 True Snow tires on it, bout 25" tall! I now have 1/4" Cable holding up and back on plow mount, over cab and down to frame! And a 125# suit case tractor weight strapped to the back side of blade! Next Im making a set of 3" angle iron (same as my rear bumper) clevis tow hooks! Basically 3" cut offs back to back an inch apart so you can put a 4" clevis through them both! Im going to bolt a pair of them at the out side of the frame mounts. Then a simple 5' piece of the 3" angle, a couple of short 1" sq stock 2' long, and the winch mount. I have not decided on how wide but then bolt a strip of heavy rubber belting to the back edge of the angle as a cutting edge? Pivot off the shackles and raise with the winch? 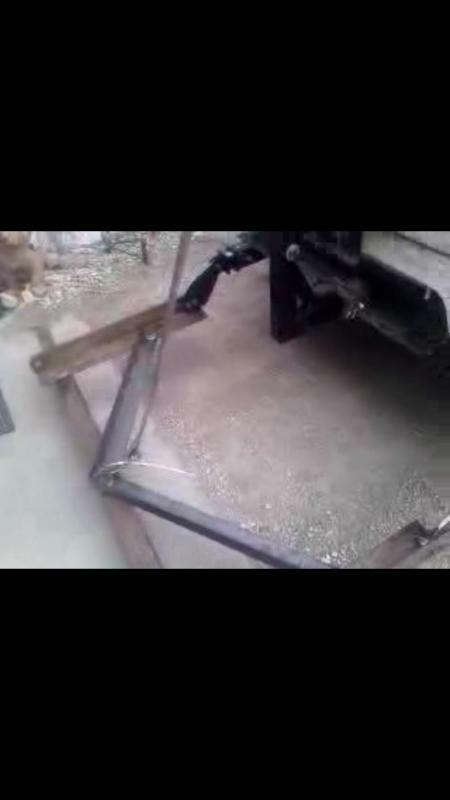 A simple set up and remove the hitch pin and it all comes off! OK here is a quick video attempt? Have you tried uploading it to youtube KC?